We read this week about the laws of Kashrut, specifically in terms of the different species’ and their purity laws. In perhaps the most well-known example we learn about the peculiarity of the pig, which displays the outer kosher sign of split hooves, but lacks the inner sign, of chewing their cud. And the Torah describes it as such: “And the pig, which has split hooves, but it does not regurgitate its cud, it is unclean for you” (11:7). We know that Hashem is very exacting when He chose which words to include in the Torah. One could ask, therefore, why the Torah lists both qualities of the pig? Would it not have been easier to simply say ‘The pig is unclean because it does not chew its cud’? Why does it first tell us about the pig’s split hooves, if it will be undone immediately by the second quality!? This sequence is also true when the Torah describes the camel- first it remarks that the camel does, indeed, regurgitate it’s cud, and then afterwards says how it’s still not kosher for lacking split hooves! Some explain that by providing this description, the Torah teaches us a valuable lesson. 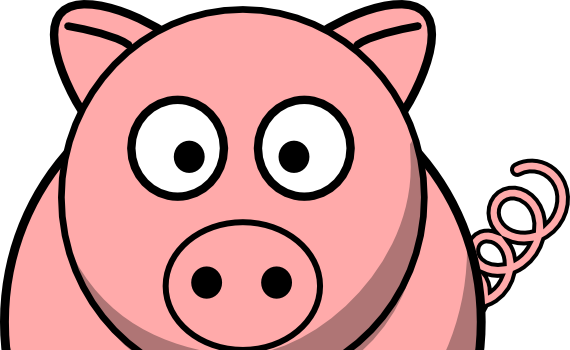 Even the pig – the symbol of dirtiness and non-kosher qualities- deserves to be seen first and foremost in a positive light. By using this sequence by the pig, we can extrapolate to all else: If the pig gets that treatment, how much more must we do so for each other? Regardless of our opinion of a person, even a negative one, we should always strive to note the positive traits of them first. With this in mind, we will mimic G-d’s perspective- to see the positive even in the pig.